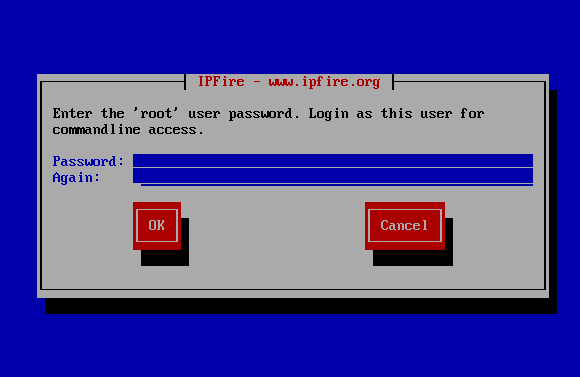 IPFire is a Linux based distribution which acts as a Firewall and Router. It is a free and open source project, simply download and install it to protect your local network from attacks and intruders. It is easy to configure and a very lightweight distribution. This firewall operating system is enterprise ready so you can deploy it in small to large scale organizations. It has hardened security features as compared to other available alternatives and can be configured within 15~20 minutes. The most recent release IPFire 2.17 Core Update 93 has been made available for download now, Let’s see how we can install it. First of all download the ISO image for this latest version from following URL. Once the download process is complete, burn it to DVD or create bootable USB and boot your system using this. 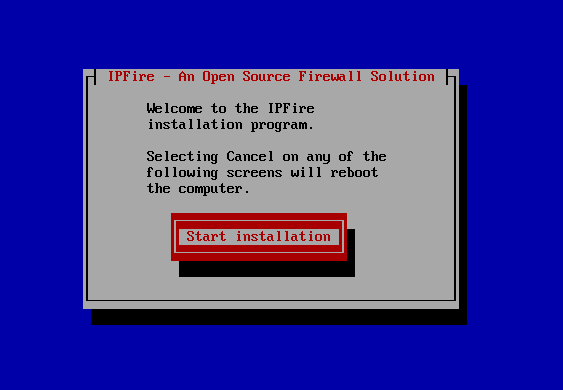 Here is the very first screen you should see when booting the ISO of IPFire. 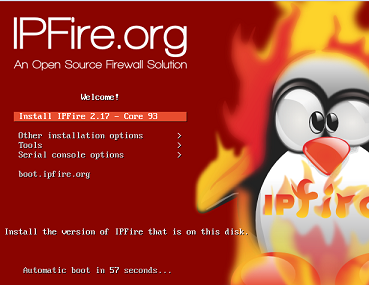 From here, choose “Install IPFire 2.17 Core Update 93” . 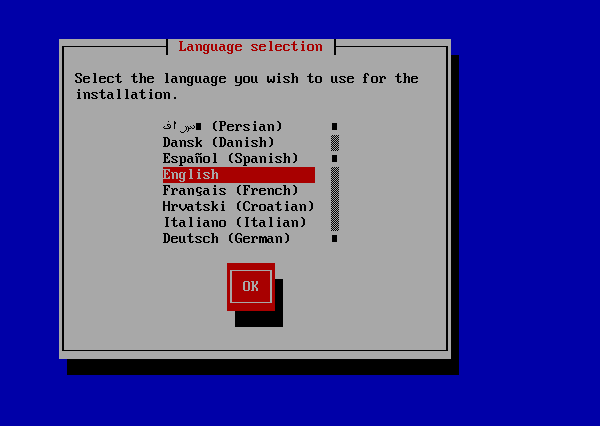 Select your language for this new installation from next step. Click “Start installation” from here. 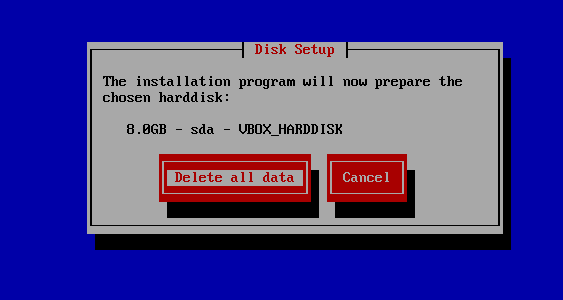 Select the hard disk to install this distribution on and choose “Delete all data”. That’s it, the installation process is in progress now, It will hardly take couple of minutes. As soon as the installation is over, it will ask you to reboot your system and configure network. 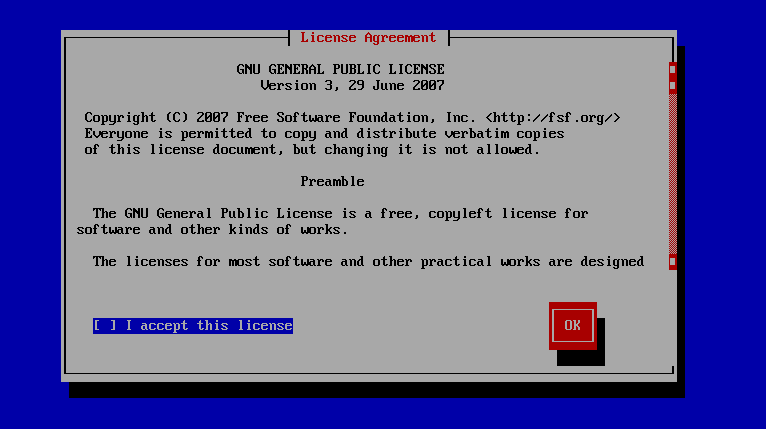 Once netwok has been configured successfully, then you will be able to access the web interface for this firewall distro using http://localhost:444 or http://IP:444. 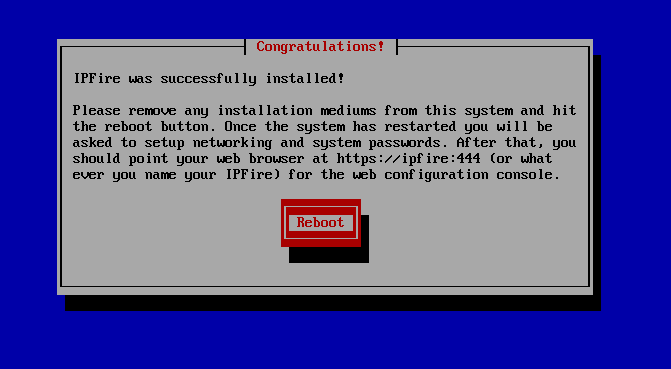 Replace IP with the actual IP address you assigned to your this new system. 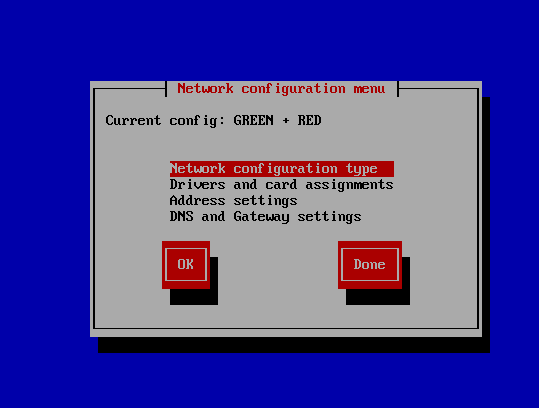 As soon as it is back up after reboot, it will let you configure hostname for your new installation. 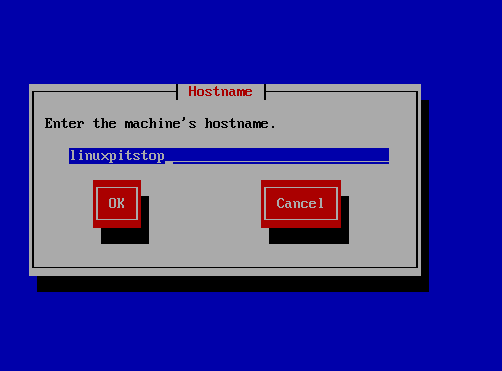 Specify root password for your new Linux installation on the next step. 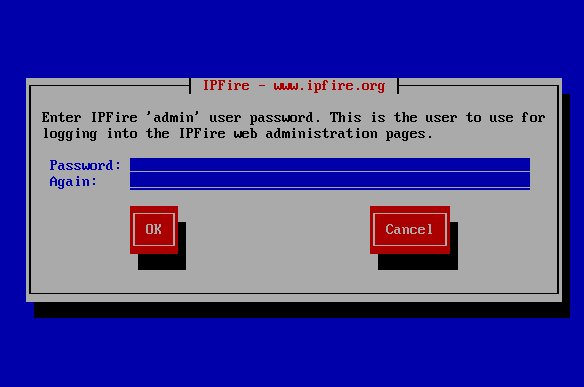 Specify the password for IPFire administrator user on this step. It’s the last step, configure network from here and start using your web based firewall to manage your network infrastructure. This is a feature rich firewall distribution; you can trust it to protect your network. It is similar to IPCop firewall but with high number of users all across the globe, try it out today. Hope you will find it pretty easy to configure, it costs you nothing.